The administration's actions—or failure to act—came under sharp criticism from Republicans Wednesday at a hearing before the House Oversight and Government Reform Committee. They accused the Obama administration of negligence and worse while Democrats dismissed the hearing as a "show trial" intended to embarrass the president. "The committee's efforts to stoke false controversy by selectively leaking a few out-of-context documents just do not stand up to scrutiny," White House spokesman Jay Carney told reporters Wednesday. But Rep. Jim Jordan, chairman of the Oversight subcommittee on economic growth and regulation, said it was hard to understand why the Energy Department ever thought Fisker was a viable company that should receive taxpayer money. "The Obama administration owes the American taxpayer an explanation as to why this bad loan was made in the first place, and what they are going to do to minimize the loss that taxpayers face," said Jordan, R-Ohio. 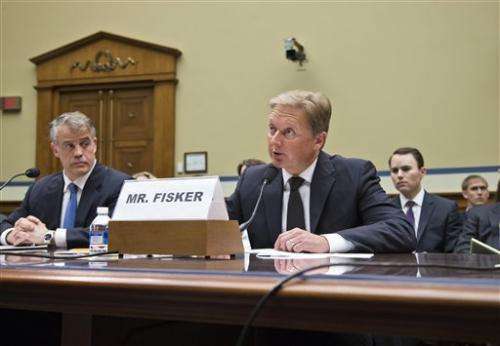 Democratic Rep. Matt Cartwright said the $192 million received by Fisker before the loan was suspended represents just 2 percent of an $8 billion loan program to boost electric cars and other advanced vehicles. Even if Fisker goes bankrupt, as many expect, the loan program is on track to recoup 98 percent of its investment, Cartwright said. The oversight panel is looking into the federal loan to the troubled carmaker, which has laid off three-fourths of its workers amid continuing financial and production problems. 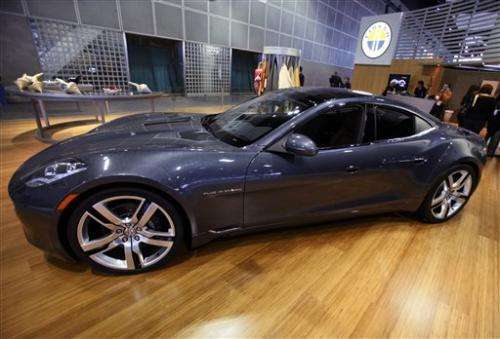 Fisker has not built a vehicle since last summer and has failed to secure a buyer as its cash reserves have dwindled. Despite those losses and widespread reports that bankruptcy is imminent, the company's founder and namesake said Wednesday he is proud of its achievements. Henrik Fisker told the House panel that "cutting edge technology" developed by the Anaheim, California-based company could "pave the way for a new generation of American car manufacturing." Fisker said he is especially proud of the $100,000 Karma hybrid, which Time Magazine called one of the 50 best inventions of 2011. Fisker has sold fewer than 2,000 Karmas, despite early projections of 11,000 sales per year. Fisker, who resigned as board chairman in March, disputed claims by some critics that the company needed the federal loan to survive. He said a high-ranking Energy Department official approached him in 2008 and asked him to apply for the loan, which is intended to boost electric cars and other advanced vehicles. "At that time, we already had significant financial backing from private investors," Fisker said. In all, the company received more than $1 billion in private financing, he said. Fisker denied that any political influence was used to obtain the loan or in negotiations over its terms. "I am not aware and do not believe that any improper political influence was used in connection with the company's loan application or subsequent negotiations with the Department of Energy," Fisker said. Republicans called the claim dubious and noted that Fisker investors include the actor Leonardo DiCaprio and the venture capital firm Kleiner Perkins. John Doerr, a partner at the firm, has served on an economic advisory board appointed by President Barack Obama. Republicans also questioned why the company agreed to reopen a shuttered former General Motors factory in Wilmington, Delaware, to produce plug-in, electric hybrid vehicles. The plant was never completed and never produced any cars. Vice President Joe Biden touted the plant in 2009 as a boon to his home state and predicted it would create billions of dollars in jobs. Fisker told the panel that he chose the Delaware site because the GM plant was in good shape and had access to skilled workers and East Coast ports. As many as 60 percent of the cars the plant was to produce were targeted for export, Fisker said. 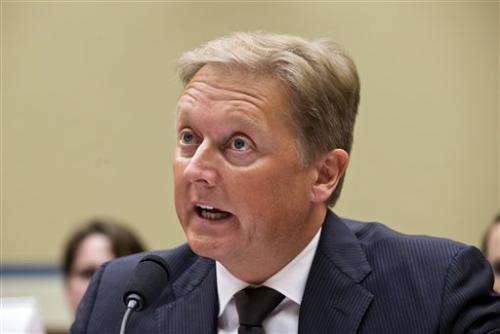 The choice of Delaware "had nothing to do with the loan" or Biden, Fisker said. Earlier, the committee released a document showing that the administration was warned as early as 2010 that Fisker was not meeting milestones set up by the government. An Energy Department official said in a June 2010 email that Fisker's bid to draw on the federal loan may be jeopardized for failure to meet the goals. Despite that warning, Fisker continued to receive money until June 2011, when the Energy Department halted further funding. The agency did so after Fisker presented new information that called into question whether key milestones—including launch of the Karma hybrid—had been achieved, according to a credit report prepared by the Energy Department. The December 2011 credit report said "DOE staff asked questions about the delays" in the Karma's launch "and received varied and incomplete explanations," leading to the suspension of the loan. "The document shows that one person at a meeting discussed the possibility that Fisker might not meet a financial commitment" required by the Energy Department, McCarthy said in an email. The department received the needed certification five days later and subsequently made the loan payment, she said.